What am I doing in the Faroe Islands? My name is Miranda Metheny, I’m a little American girl from the Missouri School of Journalism, and I’ll be spending this summer in the Faroe Islands to do my master’s project. 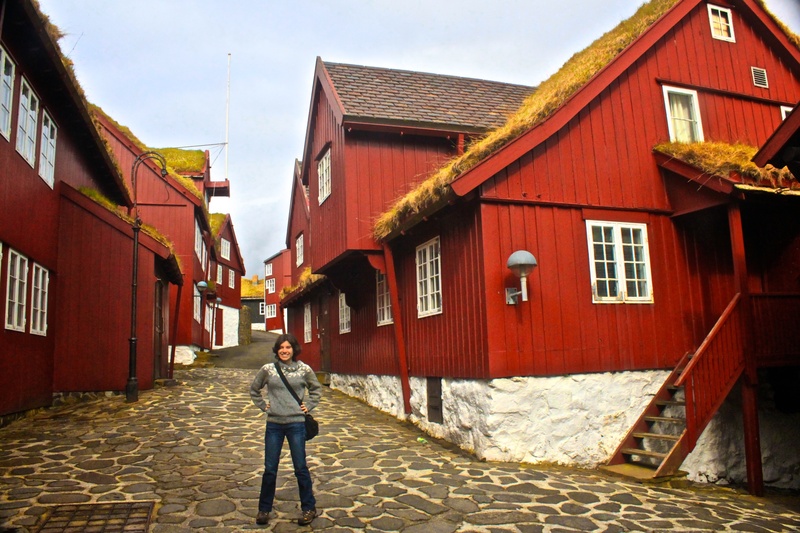 The Old Town of Tórshavn, the capital of the Faroe Islands. I first visited the Faroe Islands for a short visit in 2012. I was overwhelmed by their unique beauty and culture — simply put, it was the most remarkable and fascinating place I had ever been. 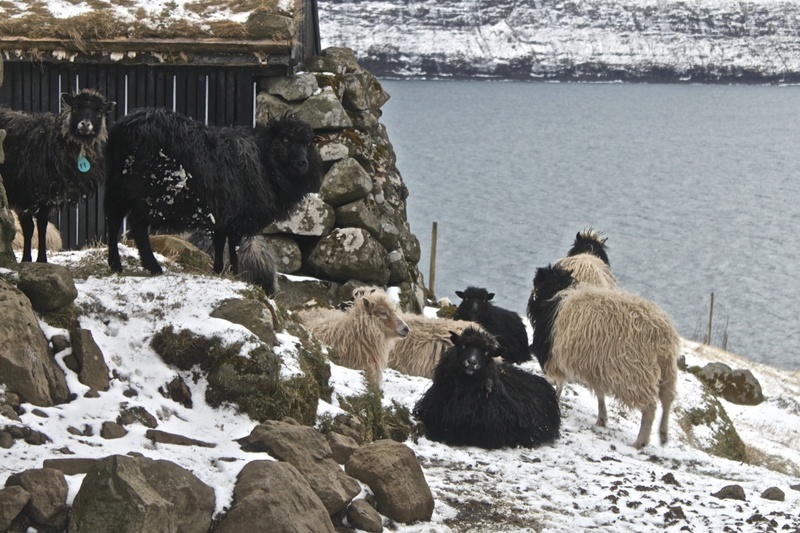 When I went home, I read everything I could get my hands on about the Faroe Islands. Unfortunately, I found that most foreign articles about the islands were based on short stays, were structured along stereotypical lines and exotified the place by focusing more on the extremes (such as the more remote islands) and on the past than on the complex and modern society most Faroe Islanders now live in. In short, they framed the Faroe Islands in certain limited ways that left out a lot of the reality I had experienced, even briefly. When it came time to finish my master’s degree at the University of Missouri with one final journalism project, I saw my chance to come back to this amazing place. I’ll be here until August, learning the Faroese language and experiencing the culture from as many angles as possible. For my project, I will be taking photographs and writing articles about travel and cultural topics such as Faroese music and food, as well as the lives of young women here. That last topic is especially interesting to me as I fall within the demographic (except for the “Faroese” part, of course), the Faroe Islands are currently experiencing a disproportionate shortage of women, and the coverage I have seen of this issue has been especially prone to framing and stereotyping. I’ll also interview Faroese people about stereotypes, cultural identity, and the representation of the Faroes in foreign media. I hope you will enjoy following my adventures in the amazing “Land of Maybe” (so called because little is certain in a place with such changeable weather). Feel free to contact me by commenting, sending me an email or looking me up on LinkedIn or Facebook. I can’t wait to get started! Múli was the last village in the Faroe Islands to get electricity. Now it is all but abandoned, but many sheep live there and walk among its houses. This entry was posted in Faroe Islands, Journalism, Travel on May 15, 2014 by Miranda Metheny. I wish you the best and look forward to the posts-This is what I love about blogging-it gives us a window to other cultures and places so we can get more than a taste without going there ourselves. Maybe someday I make the trip but for now this is great! The Faroe Islands really are mesmerising aren’t they? I really enjoyed your post on the SS and the Grind. Enjoy Ólavsøka (maybe see you there)!